Physical-therapist and trainer-designed Sport Cords and accessories are among the first stretch cord exercisers, and still the best, due to their functionality and quality. Made in the U.S.A. from durable rubber, nylon and steel materials, Sport Cords and accessories are built to last. 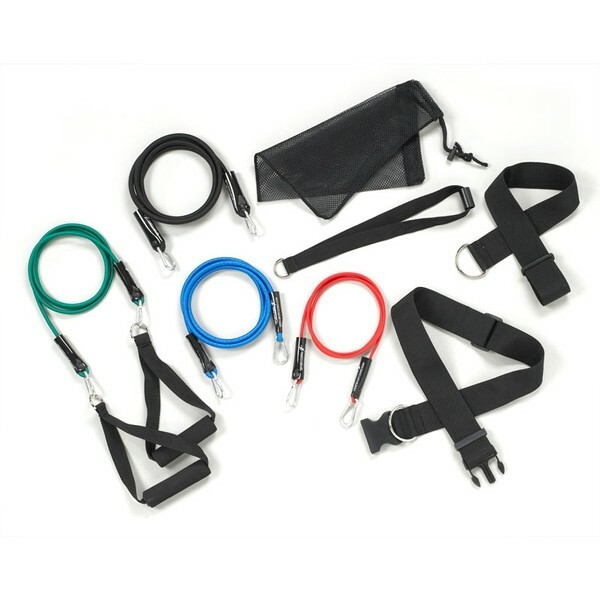 Sport Cord Kit includes four different color-coded resistance cords, door anchor, deluxe handles, wide adjustable strap (max 8" dia.) and adjustable waist belt (29"-52" waist).